Loss of earning capacity, or ability to earn a living. (Employment life expectancy, as well as education training and experience are important factors). Loss of capacity to enjoy life, (future life expectancy being an important component). 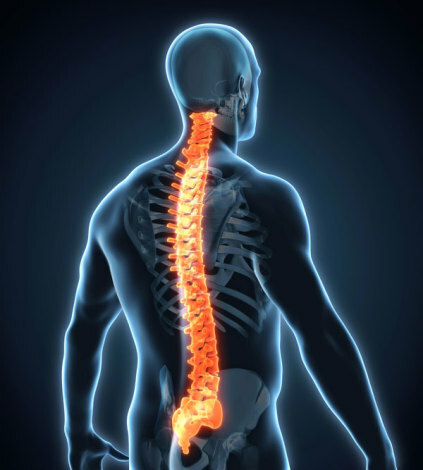 An injury to the spinal cord can have lifelong effects. The potential for losses to you and your family can be enormous. Call our injury law firm today for a consultation and see if we may be able to help you recover for all of your losses. If you slip and fall as a result of a dangerous condition present on someone else's premises, you may be able to recover damages such as pain and suffering, medical bills, lost wages and other economic damages. You must be able to show, however, that the person or company that maintained the premises knew or should have known about this dangerous condition and failed to take reasonable precautions to protect your safety. Call our accident and injury law firm today if you have been the victim of a slip and fall accident. You may be entitled to compensation for your injuries. A accident attorney from our firm can help you seek compensation for all damages related to your accident. Traumatic brain injury (TMI) can result in permanent emotional problems, psychological problems, physical disability and sometimes death. Most brain injuries are long-term in nature and can be the cause of substantial financial hardship for both the victim and victim’s family. The financial hardship on an individual and their family can be devastating when someone is the victim of a brain injury. Let us help you recover for your losses both past and those to come. Call our injury attorney in Kendall today. The Bernstein Law Firm has handled birth injury cases for more than 25 years. Our legal team provides aggressive and personalized representation to clients with even the most complicated cases. If you or your child has suffered a birth injury, one of our injury attorneys can help you recover the compensation you deserve. Birth injuries range in severity, but are always incredibly frightening for the family involved, and potentially quite dangerous to the wellbeing of both the baby and the mother. Doctors and medical staff are responsible for monitoring the conditions of the baby and the mother during labor and delivery to take the steps necessary to avoid the occasion of birth injuries. Birth injuries suffered to the mother could result in serious conditions such as organ perforation or hemorrhaging. When a baby is seriously injured, it can lead to the development of such disorders as cerebral palsy and Erb’s palsy. These are permanently disabling neurological disorders that will require medical care for the rest of the child’s life. When these types of birth injuries occur due to medical negligence, the victims involved deserve compensation for their injuries. Here at the Bernstein Law Firm, we are proud to offer clients with an aggressive and sympathetic injury attorney to help them get through this devastating period of their lives. Our legal team will negotiate for the best settlement possible to pay for your loved one’s medical treatment, lost wages, and other relevant expenses. Contact our office today for a free initial consultation regarding your case. 1.2 million people are hospitalized every year for completely preventable burn injuries. Whether the fire was caused by a cheap landlord who refused to upgrade dangerous wiring, a reckless neighbor who went to bed with a cigarette in hand or an innocent child who has yet to be educated about the dangers of matches, these fire injuries are devastating. If you or a loved one was injured or killed in a preventable fire, speak with an experienced personal injury lawyer. The healing process for burn victims is notoriously painful. The damaged skin is constantly scrubbed to remove dead skin cells and prevent infection. Even high doses of morphine are rarely enough to stop the pain. When the burn is healed, the victim is left with scars from the burn and skin grafts used to help heal the injury. These scars can cause long-lasting emotional trauma and decreased self confidence. In addition, many people experience severe nerve damage, resulting in a complete loss of feeling in the area. Are You The Victim Of A Burn Injury? Contact Our Law Offices For A FREE Consultation with a Personal Injury Lawyer. 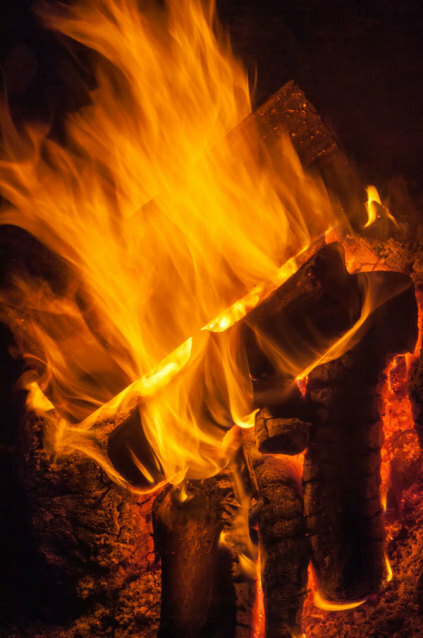 If you or a family member has been victimized by a fire accident, do not wait until bills begin pilling up at your home -contact an experienced burn injury lawyer as soon as possible. The Bernstein Law Firm has years of experience helping victims claim the compensation they rightfully deserve. Contact our firm today to schedule your free initial consultation with a top burn accident attorney. Brain injuries are truly devastating. They can turn a fully-functional CEO into a paraplegic with no ability to survive on her own. This can completely cut off a family's income on top of leaving them with massive medical bills. In these situations, it is crucial to hire a Personal Injury Lawyer. If you or a loved one has suffered a traumatic brain injury as a result of another person's recklessness or negligence, contact an experienced injury lawyer as soon as possible. Statutes of limitations do apply to these cases, meaning you could lose your right to sue if you wait too long. Additionally, the sooner you hire a lawyer, the longer he will have to work on your case and the stronger it will be, so call now. The Bernstein Law Firm works hard to get all of our clients an excellent settlement for their suffering. Contact our offices to schedule your free initial consultation with a skilled personal injury attorney. Whether the Kendall Metrozoo, Santa's Enchanted Forest or a traveling circus, these places of amusement are around largely to bring entertainment and joy to the whole family. Unfortunately, not all people end up having a great time at these locations because of a traumatic event. If you or a loved one was hurt or killed at an amusement park, you need to speak with a theme park injury attorney. While most people envision an amusement park injury to be related to a ride, these are not the only types of injuries at these parks. Although 15,000 people are injured on rides every year, a significant number of people are injured due to other accidents including animals in shows not following the routine, tripping on broken sidewalks, and more. 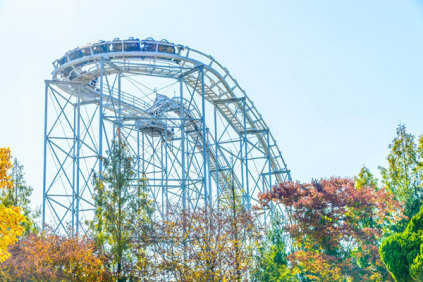 Whatever the reason for your accident, if you were injured on a theme park property, a injury lawyer can help you claim reimbursement for your injuries and suffering. If you or a loved one has been injured at a carnival, zoo, arcade, fair, circus, theme park or similar location, please speak with a theme park injury lawyer with experience in these cases. Our injury representation is second to none and we will stop at nothing to help you collect damages to cover your emotional suffering, medical expenses, pain, therapy, disfigurement and more. Contact us today. A catastrophic injury is one that can occur suddenly and without any warning. Catastrophic injuries may include spinal cord injuries, multiple fractures, brain injuries, neurological disorders, or amputated limbs. All of these types of injuries can have a devastating effect not only on the injured victim, but to their family as well. A catastrophic injury might cause severe limitation or dysfunction to just part of the body, or the entire body, preventing it from not operating properly, or not functioning at all. Catastrophic injury victims often face extensive hospitalization, surgery, and long medical treatment and rehabilitation. The expenses are often devastating. These injuries are usually permanent or continuing in nature. If you or a loved one has been the victim of a catastrophic injury due to any type of negligence or defective product, contact the Bernstein Law Firm at 305-670-8877 or 877-670-8877.